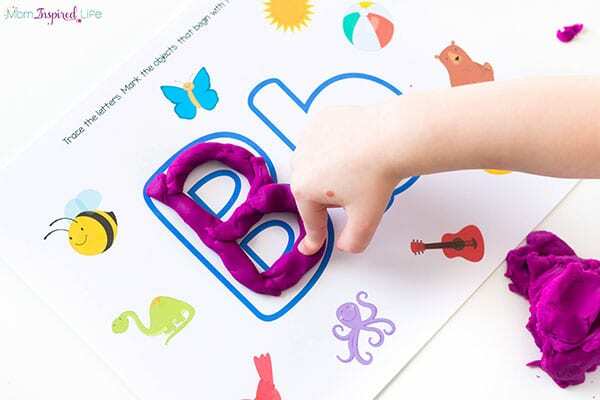 These letter sounds alphabet mats are a hands-on way for kids to learn letters and beginning letter sounds. 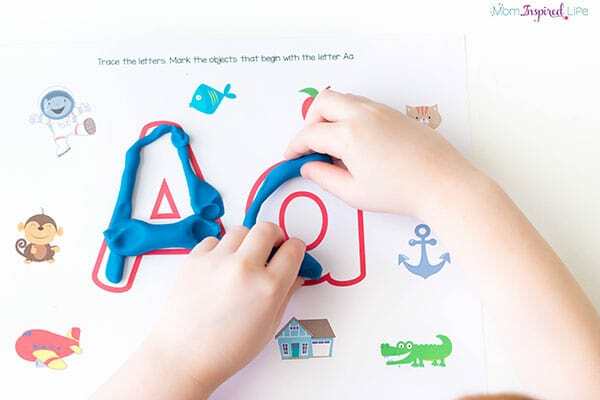 They can be used with play dough, dry-erase markers and more. I have seen lots of alphabet mats that are really neat, but I wanted to make one that posed a bit more of challenge for my son. 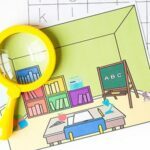 So rather than only including a bunch of items that start with the letter on the page, I decided to include items that started with the letter on the mat and items that did not. It ended up being perfect for my son. 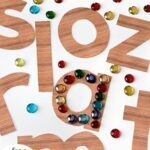 He would have been bored with a simple alphabet mat, but was totally engaged with this one. 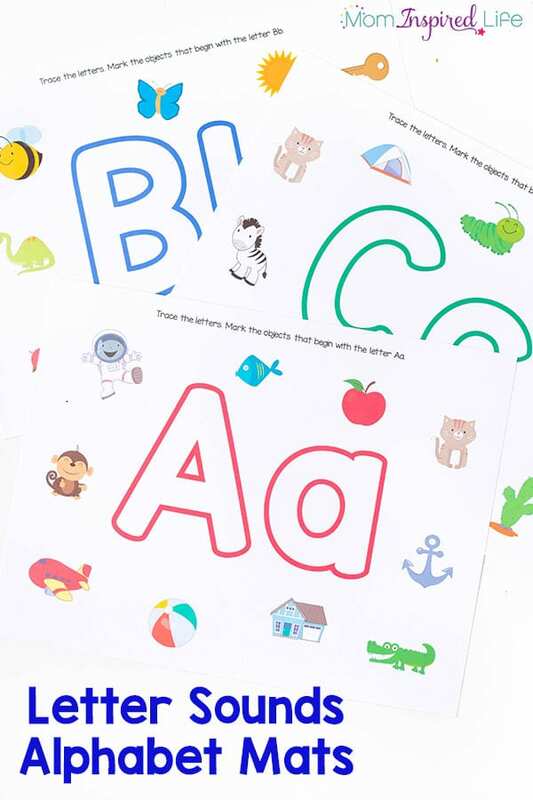 He liked searching around for the objects that begin with the letter on the page. 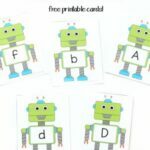 Print out the alphabet mats. 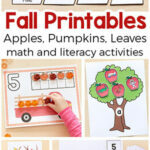 Laminate the mats or put them in dry-erase sleeves. I like to use dry-erase sleeves to save time and decide if an item is worth laminating for continued use. I printed out several of the mats and used them with my son. 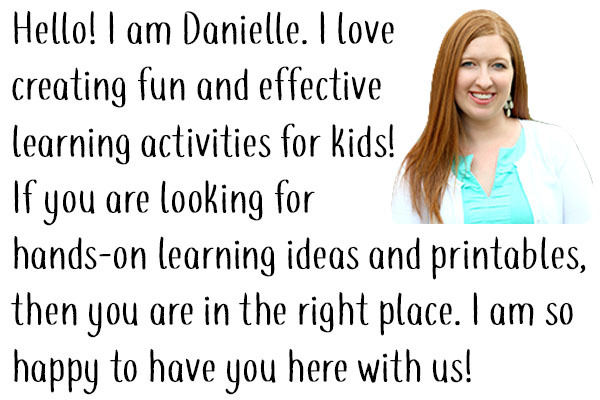 I didn’t laminate them or put them in dry-erase sleeves because I wanted them to photograph well for you all, but don’t do what I did. The play dough will stick to them. 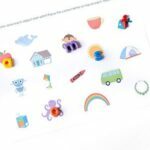 My kids were excited to see the mats laying out on the table with the play dough and they quickly started playing. 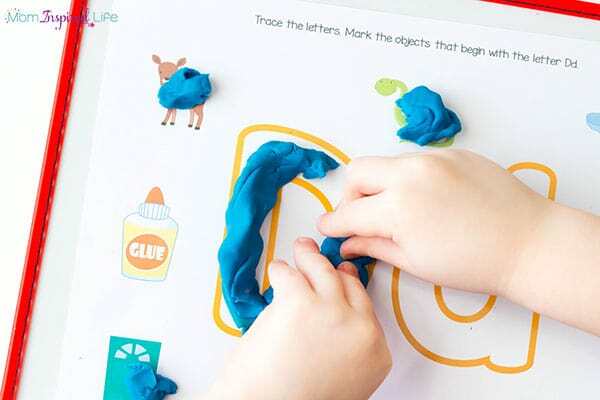 I showed them how they could trace the letters with play dough and they did that. 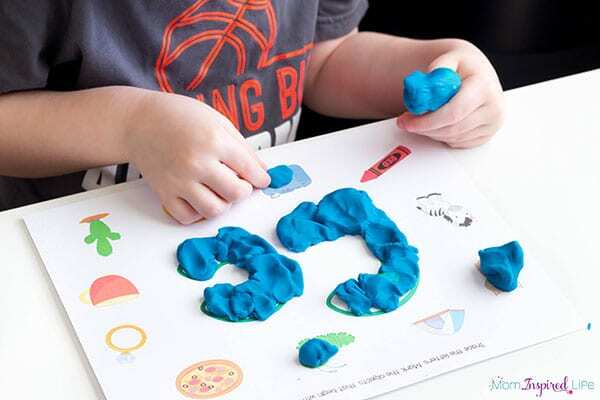 My preschooler enjoyed making snakes of play dough and curving them around the letters. It was excellent fine motor practice! 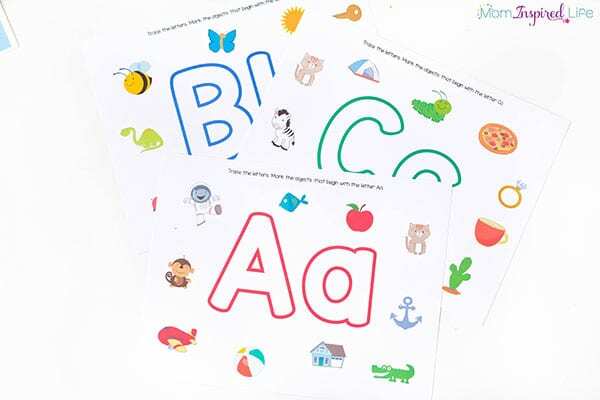 He also enjoyed searching around the mat for items that begin with the letter on the page. His favorite part was placing a ball of play dough on an item and smashing it with his fist. He did several mats in a row because he loved smashing play dough balls so much. 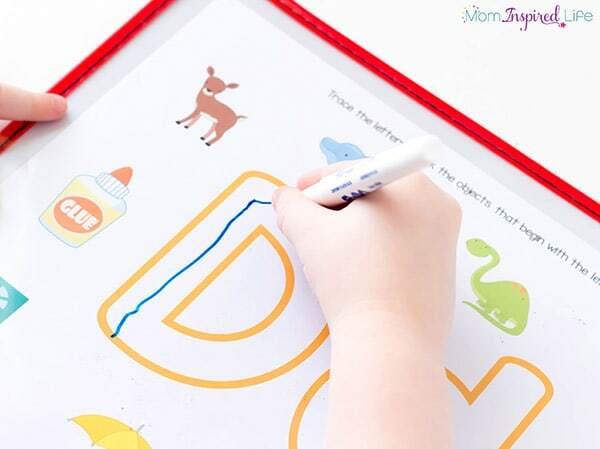 I also pulled out a dry-erase marker and he used that to trace letters and mark the objects on the mat too – with the dry-erase sleeve on, of course. 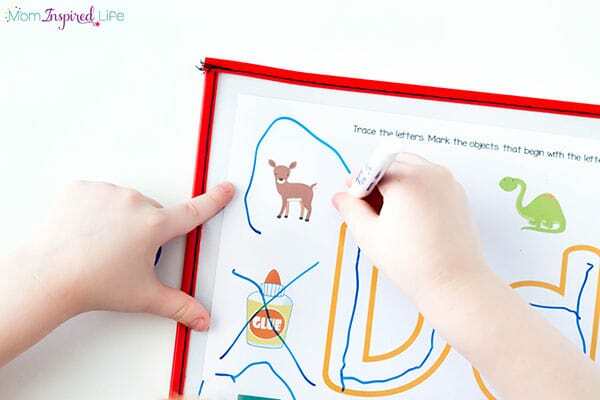 He traced the inside of the letters with the marker and then circled all of the objects that start with that letter. He also chose to put an x on all of the objects that didn’t start with the letter on the mat. My toddler just enjoyed playing with play dough on the mat. I helped her trace the letters a bit. 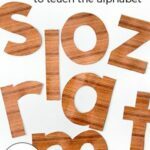 I think I am going to make a more simplified alphabet mat, so stay tuned. 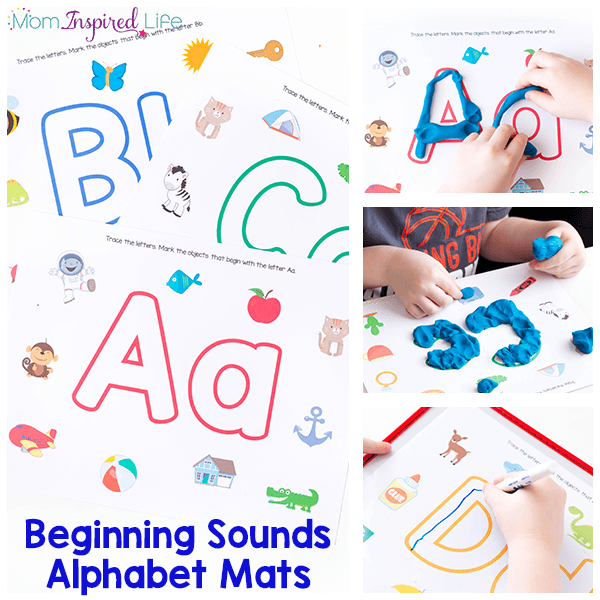 If you would like a more simple alphabet mat, check out these free beginning sounds alphabet mats!